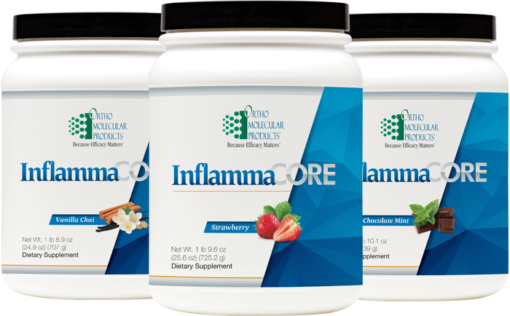 Inflammation is a natural part of the body’s immune response, a cascade triggered to protect the body and maintain normal tissue repair. Acute inflammation is the body’s initial response to harmful stimuli in which plasma and immune cells are relocated from the blood into injured tissues. This movement is followed by a cascade of biochemical events which advance the normal inflammatory response. 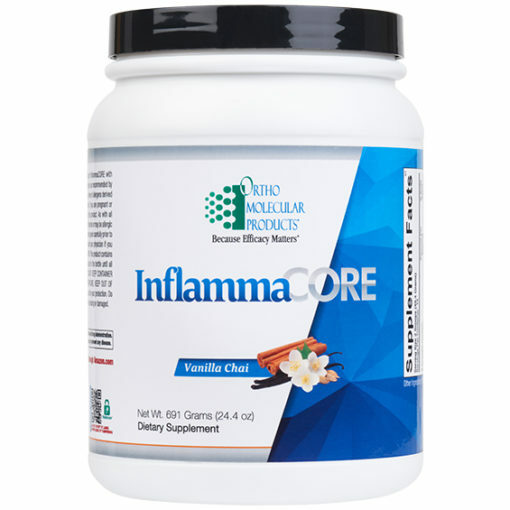 When inflammation is prolonged, it leads to a progressive shift in the type of cells present at the site of inflammation and is characterized by simultaneous destruction and healing of the tissue from the inflammatory process. 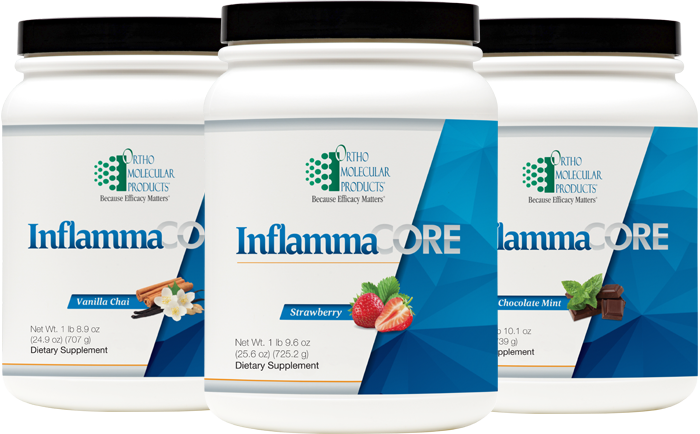 Because inflammation plays a role in so many health challenges, it is essential to support and maintain a balanced cycle of inflammation to achieve optimal health. 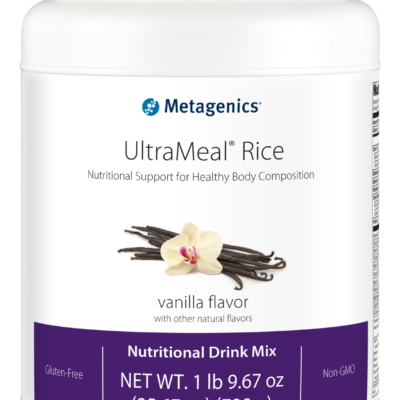 Mix serving size amount in 8-10 ounces of water or to the desired thickness, once daily or as recommended by your health care professional. Curcumin is the active compound in turmeric, an orange-colored spice used for thousands of years in cooking and medicine. Curcumin has been shown to have strong NFkB-modulating properties and plays a crucial role in maintaining proper inflammatory balance. Studies have shown that curcumin specifically supports proper inflammatory balance in the most significant GI challenges. Green tea, used for centuries as a health tonic, is a potent antioxidant and is effective for maintaining healthy levels of inflammation. Its most researched active component, EGCg, has been repeatedly shown to protect against free radical damage and balance markers of inflammation. Larch arabinogalactan is a fermentable polysaccharide fiber from the larch tree that promotes optimal immune health by supporting the growth of beneficial gut flora and strengthening the activity of NK cells. This popular Chinese botanical has been shown to maintain markers of inflammation and support cardiovascular health. Skullcap possesses potent antioxidant properties. Research has shown it attenuates NFkB and inhibits COX-2 expression. A flavonoid found in a variety of botanicals, vegetables and fruits, quercetin is a potent antioxidant that inhibits inducible ICAM-1 expression, an important pathway for maintaining healthy levels of inflammation. It has also been shown to enhance epithelial barrier function in the intestines by stabilizing mast cells through the release of cell-protective factors. Amino acids L-glutamine and glycine are essential for healthy gut mucosa and normal tissue repair. Numerous studies have shown these amino acids to be soothing to the GI lining. The amino acid L-glutamine have been associated with better immune response, stronger intestinal wall lining and higher antioxidant capacity. Recent research also highlights the synergistic role between these amino acids and a healthy balance of probiotic bacteria in the GI tract. One of the key functions of vitamin D is its ability to tighten gap junctions in the intestinal lining to create a strong barrier that protects the body from foreign substances. Recent research suggests that improving vitamin D status significantly affects the expression of genetic pathways linked to immune activity. Vitamin D up-regulates specific genes that increase cellular production of natural compounds that protect us against pathogens. Higher blood levels of vitamin D have been shown to enhance immune function and soothe tissues of the GI tract.